JAZZ CHILL : MAYSA & BLUEY CELEBRATE 25 YRS OF COLLABORATIONS WITH INCOGNITO'S "IN SEARCH OF BETTER DAYS"
MAYSA & BLUEY CELEBRATE 25 YRS OF COLLABORATIONS WITH INCOGNITO'S "IN SEARCH OF BETTER DAYS"
While Bluey and Incognito continue to raise us to our feet with their downright funky and insatiable grooves, they also elevate our consciousness with their poignant visions and dreams on In Search Of Better Days. "We are living in troubled times and I see the plight of the young in my neighborhood, the refugee crisis in London and all over Europe. Corruption. Child abuse. There is political, religious and financial misguided ideology all around the globe," expresses Bluey, the mastermind behind Incognito. "My trade is music and social awareness, and as such, I am fully aware of those In Search Of Better Days, including myself!" Incognito's anticipated 17th studio album is steeped in deep, rich history, bridging the classic sounds of the past and the tonal and sonic languages of the present and future. The songs on In Search Of Better Days are songs of love and awareness, that question and challenge and that deliver optimism, joy, and hope. Incognito plans to tour the US in the Fall but until then you have the soundtrack to put you on the road to better days. As a producer, songwriter and musician, Bluey has collaborated with a who's who list in music including James Brown, Stevie Wonder, George Benson, Chaka Khan, R. Kelly, Leon Ware, George Duke, Phillip Bailey, Steve Gadd, Maxi Priest and countless others. You would think that a 37-year-old band would rest on its laurels...right? No, not Incognito! The band is as creative and full of fire as it was at its conception in 1979. A rare feat in these days and times. The sound of Bluey's London for over three and a half decades weaves its way throughout In Search Of Better Days and gives it flesh, with splashes of Drum & Bass and Broken Beats, Rare Groove, Deep Soulful House, and even influences from the Rock and Blues that were at the heart of the UK scene in the late '60s and early '70s. As the stunning and talented vocalist Maysa readies to turn 50 in August she also celebrates a Silver Anniversary with Incognito. 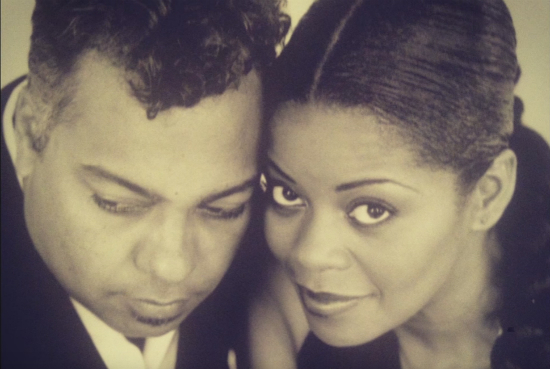 "Working with Bluey & Incognito for the last 25 years has been incredible," says Maysa. "Bluey has taken me around the world several times and has allowed me to sing very special songs. Our magic is from Heaven and feels like it was destined." Maysa is featured on four tracks on In Search Of Better Days: "All I Ever Wanted" and Everyday Grind" which Bluey cites as among one of his favorites on the album. "'Everyday Grind' is the freshest thing I've done in years," confesses Bluey. "Sonically it's the sound of the London I know in combination with my favorite voice on the planet - Maysa. It's about a break up in a relationship that both Maysa and I could identify with and thus tell the tale convincingly because we both lived it!" Other personnel on In Search Of Better Days includes Stuart Zender and some of the UK's finest and most soulful voices Imaani, Vanessa Haynes, Tony Momrelle, Katie Leone, Vula Malinga. Also highlighted on the CD is the dynamic singer/pianist and label-mate Avery*Sunshine, drummer Richard Spaven, cosmic percussionist Jody Linscott, and Japanese guitar legend Tomoyasu Hotei of Kill Bill fame. Grounding the entire album are the usual suspects: Matt Cooper and Ski Oakenfull (keyboards); Francis Hylton (bass); Francesco Mendolia (drums); João Caetano (percussion); Francisco Sales (lead guitar); Sid Gauld (trumpet); Trevor Mires and Alistair White (trombone); Paul Booth, Jim Hunt, and Andy Ross (sax and flute); and Richard Bull (everything). 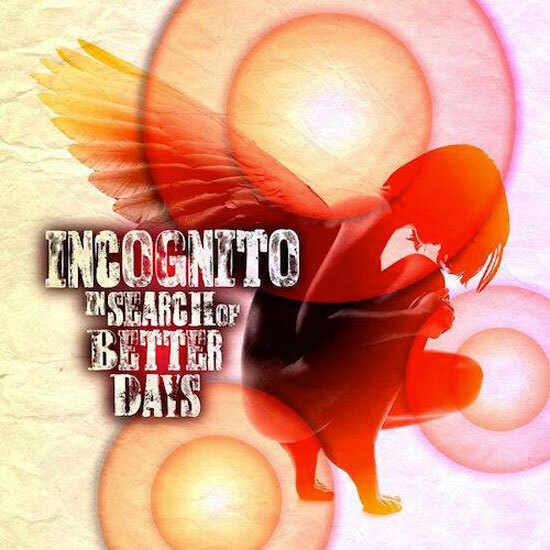 As Bluey continues blazing his own trail with his ever-expanding community of all-star artists, fueled by a passion for storytelling and creating unity through the groove, Incognito's In Search Of Better Days surely takes us there. This album is . . . Truth! The musical wizard concludes, "When you are lucky enough to be doing what you love for a living, that alone should be enough to make you want to carry on, add to that the friendships, the wonderful journeys around the world, the possibility to communicate and stimulate change for the better... The thrill just keeps getting stronger!"